The Last HOPE (www.thelasthope.org) is this Summer's hacker conference sponsored by 2600 Magazine. Presenters and artists from all nationalities and disciplines are again invited to participate in this forum. The Last HOPE covers all aspects of hacking, the community surrounding it, and its effects across the world. For three days, The Hotel Pennsylvania will be the nexus of discussion, planning, and activity for hacker ideas, opportunities, and understanding. Speak: Presentation ideas should be submitted with a synopsis of the topic and presenter bio, and will be chosen by relevance and peer review. Panels, talks, tutorials, debates, or other types of presentations are all welcome. Most presentations will be 55 minutes. Interact: Demonstrations of new and interesting technologies or system elements as well as artistic exhibits are welcome. We have 20,000 square feet of presentation space to fill, so projects of all sizes will be considered. Robots, Segways, Legos, RFID, digital graffiti -- submit your creative ideas! Display: Posters, presentations, demos, workshops, classes, and other ways of sharing information are encouraged. Space and time will be provided to accommodate proposals. Sell or Exhibit: Space will be available for vendors to sell products of interest to the hacker community. Details will be posted later to the HOPE website. Teach: Share your knowledge with others during formal and informal workshops. Hands-on instruction is particularly welcome. Do you have a lab, factory, warehouse, or other "hacker space"? Do you know there are other hackers in your area who want to build one? The Last HOPE is building the first "hackerspace village" to help bring together existing project spaces and inspire efforts to build them. Show hackers from around the world how you built your space, what you're doing with it, or what you would do if you had one! Learn about, build, and help grow the global hackerspace movement. E-mail hackerspace@hope.net with some details about your space or plans for building one! Other topics are welcome, especially those offering fresh views and new variants on old themes. Submissions should be sent to speakers@hope.net and include names (or aliases) and email addresses in addition to information requested above. Conference planning is ongoing throughout the Spring, so submit your ideas or suggestions as early as possible. Late proposals will be considered if space is available. 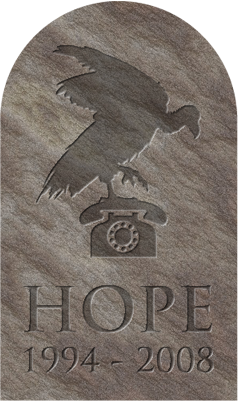 For more information about The Last HOPE, check the web pages at www.thelasthope.org. The web pages provide opportunities to volunteer, information about travel and hotel, and information about speakers, tutorials, and other sessions.